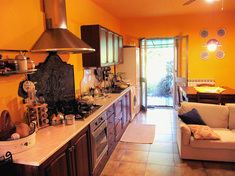 The cachet of having an address in Tuscany is undeniable, and its property for sale reflects that distinction. Tuscany's pull is nothing new; every generation has simply reaffirmed the notion of desirability that preceding generations have handed down for eons. 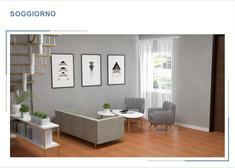 Florence, Siena, Pisa, Lucca, and Chianti are just a few of the place-names that roll off the tongue when speaking of the wonders of the region, and in all these places, as well as in many others, such as Lunigiana, Garfagnana or Monte Argentario, there are homes to buy. Montecatini Terme, with its famous spas, and the walled-city of Montepulciano (exclusive center of the prestigious wine-producing area), have been drawing the rich and famous since there have been rich and famous people to attract, and the Tuscan sun is not a mirage. 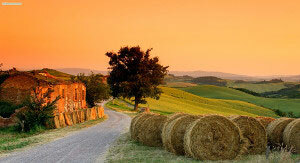 The legendary allure of Italy is no better presented than by a look at property for sale in Tuscany. And contrary to what some might believe, it wasn't “Hollywood” that discovered the region, though such notoriety has stimulated greater interest in properties in Tuscany in recent years. No, the film industry is definitely a latecomer, since the Etruscan civilization had established itself in the area more than 3,000 years earlier! What is true about today is that the region is among the most popular vacation destinations in the world, and that today, interest in real estate in Tuscany is at an all-time high. What's not to like? 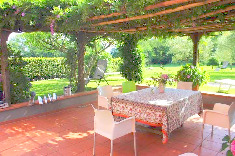 Property for sale in Tuscany includes houses, apartments, farmhouses, vineyards, and every kind of real estate imaginable. The salubrious climate and stunning visual appeal has also turned the region into one of the most desirable areas on the face of the planet in which non-Italians are choosing to relocate. 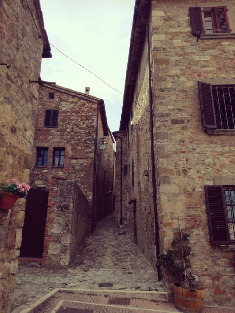 The increasing demand might seem like bad news for potential real estate investors and home seekers, but the upward pressure on prices for homes in Tuscany today is mitigated somewhat by the relatively plentiful supply of available property. 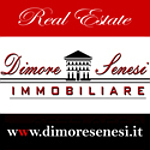 Real estate in Tuscany right now can provide a good hedge against inflation, since the region has continued to retain, and even improve, its values, when other places have struggled to stay above water. 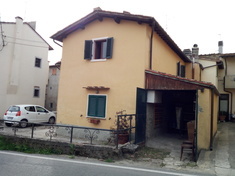 Relying less upon contemporary market pressures, and more upon established qualities is important in the structure of the Tuscan real estate market. 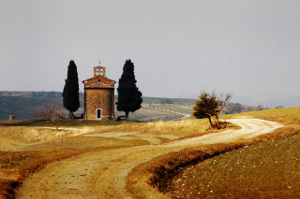 Tuscany property has not seen the kinds of ups-and-downs that have afflicted much of Europe, and this stability has not been lost on home seekers who want to know that their Italian Dream is a reality, and not just a fleeting apparition. Well-heeled individuals and families have been buying property here for decades, and houses carry with them a prestige that surpasses that of similar properties in other regions of the country, and this is a prime factor in how the region has maintained a certain elegance and appealing quality of life. To travel through the region is to understand how its fascination has remained strong. Homes for sale in Tuscany run the gamut from ornate villas to ancient farmhouses, from working vineyards to cozy cottages in small villages, and prices show an equally wide range. 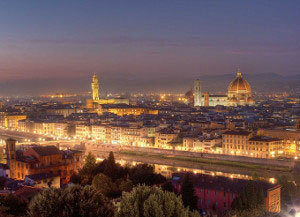 In and around major urban areas such as Florence, and in the more heavily settled vineyard country, houses for sale command premium prices, but there are lesser-travelled spots in the region that are well-worth searching for, as these are the locales where the occasional “bargain” property can still be unearthed. Compared to other regions of Italy, it may seem as though there aren't many houses for sale available, but the current market actually contains a pretty good selection. 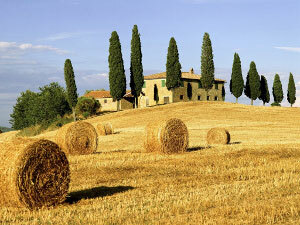 For one thing, Tuscany, overall, is fairly well-developed and relatively heavily populated, so it is still fairly easy to find a house or an apartment to buy for every pocket. The Tuscany real estate market has long been a magnet for European investors looking for vacation homes, income properties, and places in which to relocate permanently. 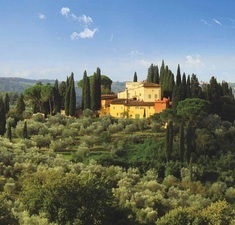 In fact, no study of its property market scene would be complete without a mention of “Chiantishire”, an area in the famous “Chianti” wine producing zone of central Tuscany, that has been such a popular area for Brits and other Europeans to move to that it acquired the informal “shire” designation. The Foreign and Commonwealth Office of Great Britain stated, in 2012, that some 28,000 Brits inhabited the area. Notables such as Tony Blair have declared this “grape heaven” to be among their favorite vacation spots, and, numbered among those who own, or have owned, real estate here, are such diverse figures as Sting, Richard Gere, and Antonio Banderas, and former residents include Puccini and Dante. No, available real estate does not include Pisa's famed Leaning Tower, but there are many other properties for sale, most of which don't tilt at all.